1:30 PM PT -- Sabathia says he regrets making a "bad decision" by trying to get involved in the fight. Yankees star CC Sabathia was leaving a Toronto nightclub when a massive fight broke out ... and several people had to hold him back from the action. The brawl broke out early Saturday morning ... after the Yankees had won game 1 of their weekend series against the Blue Jays. CC stands out in the crowd for two reasons -- he's 6'7" and he's sporting BRIGHT red sneakers. It's unclear what sparked the fight -- witnesses tell us hecklers were yelling "Go Blue Jays" -- but Sabathia definitely looks like he WANTS to jump into the fray. Ultimately, a friend shoved him into a cab and he got outta Dodge. Good thing too ... 'cause the fight was insane. The Yanks just scratched CC from his start tonight, which probably has nothing to do with this fight. 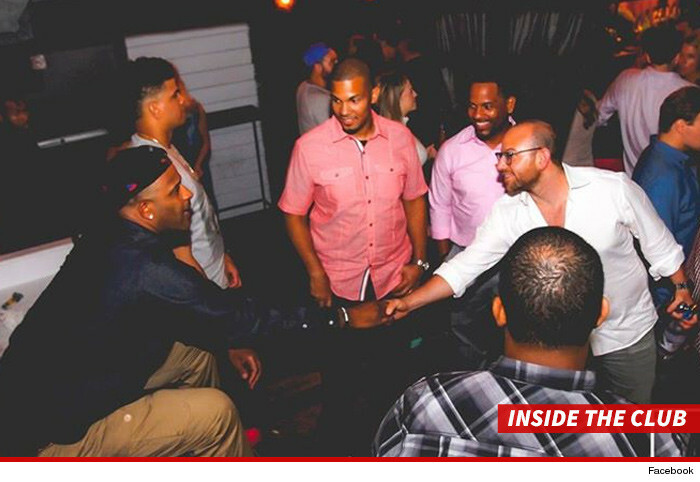 We've got calls in to the team and CC's reps.
Yankees Star CC Sabathia -- CHILL STEINBRENNERS ... I'll Kill My Beard Before the Season!